Cloud server – Open servers in one hour ! From 1 to 32 Xeon CPU, 1 to 256 GB of RAM, 30Gb from a 2 Terabyte Hard Disk per partition, unlimited reserved static IP, connected to multiple redundant connectivity in mixed mode ( CDN / Optical fiber / T1 ) 1 Gigabit per second for uploads and 1 Gigabit per second download. Any Operating system 32-bit or 64-bit, Windows Server, Linux, Unix, Citrix, or upload the image of your server via a web interface. For example, you can switch from 2Gb to 8Gb of Ram, or 1 to 4 CPU processors, or increase the size of the hard disk. You can also choose where to physically place the server in Italy, France, Germany, England, Czech Republic. Our Cloud Servers or Virtual Servers are much faster than traditional server “physical” because they do not have to manage the drivers and hardware, which are handled by a separate system. To take an example, a virtual server cloud with only one CPU can be as fast as a traditional server with 3 or 4 CPUs. 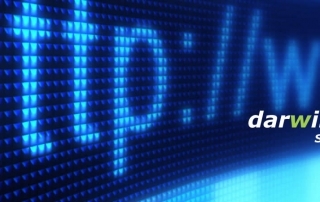 Get a free trial server of 7 days, with no obligation, just contact us. All servers can be in Unmanaged or Managed mode. 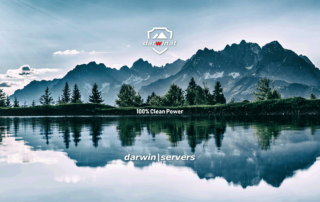 DARWIN Cloud Computing is an IaaS service which allows users to create an infrastructure made up of one or more machines, that can be expanded or reduced in real time based on specific needs, easily and without any initial investment, paying just for the resources used and avoiding any sort of waste. Create and activate your Datacenter with a simple click and add or reduce the resources how and when you like. With Cloud Computing you can easily manage single machines and complex infrastructures. Expand or reduce your infrastructure; archive your servers for future use; edit the features of your resources with a few simple clicks. Thanks to the scalability of the service you can adapt the structure to your needs at any time. Thanks to the ‘pay per use’ system you only pay for the resources you use. 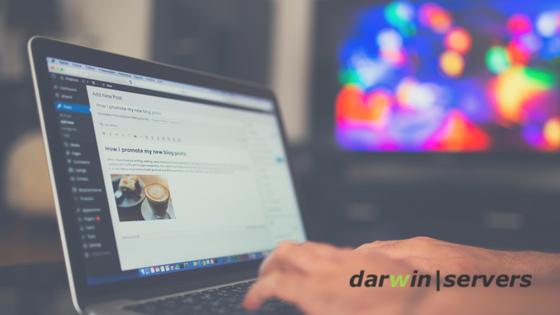 With DARWIN Cloud Computing you cut down on waste and eliminate initial investments. Thanks to the clear price list the costs are transparent and predictable. All our servers are in clusters and the data storage is replicated for maximum reliability. Activate the infrastructure in multiple Datacenters to ensure Business Continuity and Disaster Recovery. 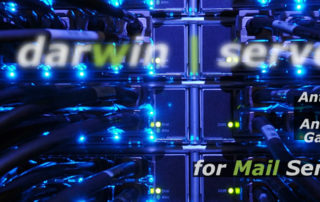 Guarantee security, redundancy and efficiency to your Datacenters with DARWIN Cloud Computing. Activate and cancel your server in real time. The use of your resources is variable. You would like a flexible infrastructure which manages temporary peaks and eliminates any possible waste. You need a temporary development or staging environment. You want guaranteed redundancy without any worries. Cloud Computing is an infrastructure integrated with hardware and software entirely developed by DARWIN which allows users to create, manage, use and connect virtual machines of multiple hypervisors ( VMWare, Hyper-V, LowCost Hyper-V ). The end-user simply needs to select the operating parameters of the Cloud Servers Smart or Pro, while our systems manage the security of data, the required redundancy of the computational resources, calculate the costs and perform all the other operations required for a reactive and safe service. When the creation or modification process of the Cloud Servers or other purchased items begins, the operations are performed by the system within a matter of minutes, allowing you to buy a resource even just for one hour, as in the case of Cloud Servers Pro. The system can be managed from the Control Panel, the VisualCloud and through the Mobile Applications. Furthermore, the APIs of the entire service are public! The computational resources and the storage use redundancy and replication technologies to ensure maximum security of data. The computational resources and the storage are always guaranteed and reserved for the user who buys them (does not apply to Cloud Servers Pro working with Hyper-V Low cost). 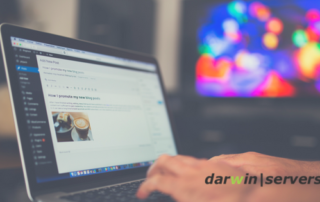 As we’ve seen, the DARWIN Cloud Computing solution comes in two Cloud Server options: the Cloud Server Smart cheaper solution and the professional solution with high performances, so called Cloud Server Pro. The Cloud Servers Pro run in a series of clusters which implement redundancy mechanisms. Should part of the cluster be subject to a failure, the Cloud Server Pro will be moved to another host in a transparent manner. The Cloud Server Smart does not offer redundancy features. The storage of the Cloud Servers Pro is a SAN (Storage Area Network) solution with SAS technology and RAID system to ensure maximum security and performance. Also the content of the SAN is replicated in synchronous mode in a twin unit with the same characteristics. The Cloud Server Smart comes with SSD storage with high performances, but unlike the Cloud Server Pro, it is not redundant. The Cloud Servers can be connected to the Internet via Public IPs and, in case of Cloud Servers Pro, can be connected with each other through the use of Virtual Switches, similar to physical Switches in terms of how they work, performance and security. These features give the DARWIN Cloud Computing solution great flexibility and power. Something about Cloud Servers ? Before answering this question you must want to know what a cloud server is and why an organization would or a company needs that. Today companies operate through networks and link together many work stations and even different branches. So they share and use a lot of many technical and hardware stuff for smooth operations of their organization. Here arises a need of proper mechanism to help and guide companies about their hardware softer related facilities. The cloud servers are best solution for those needs. What are Cloud Servers ? Cloud servers are internet facility which provides the users or the companies to share and interlink many software and applications within an organization and in an office building. It also serves to store the most important data base and make a back of all the vital information. This facility saves the companies and organizations from the indicants of data lost due to any accident or miss hap. It gives an efficient and flexible time and money saving system for all of their IT related needs. It is a paid service the big companies or small firms pay or get register for a server according to the need and requirements of their operations and the host or server will provide you with all the infrastructure of technical applications , software and storage facilities you opted for. The cloud servers provides the companies with many benefits, some of them are given below. They provide you the access to many software and hardware within the organization and outside too in a virtual environment. They also help the organization to share resources within the office such as printers and raid. They secure your data, so in case you lose your hardware such as you lose your computer somewhere but your data is not lost because it is saved with the cloud server storage or back facility. They are very flexible packages designed or provided according to the need of the organization. The client can always scale up or reduce it whenever they want. They are best for any size of organizations which cannot afford sophisticated technical equipments due to their budget constraints so they can arrange it thorough cloud server and upgrade their systems. The important and precious data of the companies can be stored through a back facility and can be easily recovered.